Former Nagaland and Manipur Governor and CBI Director Dr. Ashwani Kumar inaugurated two-Day Zonal Conference of Public Relations Society of India (PRSI) at Hotel Holiday Home today. The theme of the Conference is Corporate Social Responsibility – Corporate Communication and organized by Shimla Chapter of PRSI. In his inaugural address Dr. Ashwani Kumar stressed upon sensitizing corporate sector about its corporate social responsibility. He said that in the present world economies were getting liberalized and capitalism was the ‘mantra’ for the success of corporate social responsibility. Kumar complimented organizers for hosting the Conference on relevant theme. 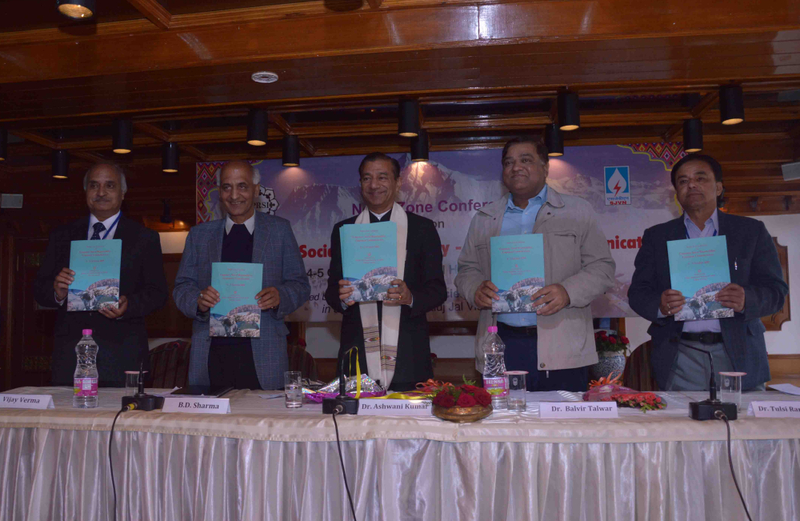 He also released the souvenir brought out by Shimla Chapter of PRSI to mark Conference. Dr. Balbir Talwar, Additional General Manager of Bharat Heavy Electricals Limited (BHEL) suggested that long term planning of public relations could be an effective instrument for bringing about change in the social system while corporate social responsibility would help in sustainability. Talwar suggested formula of three P’s i.e. people, profit and planet for successful planning of corporate social responsibility. He said that provision of basic amenities to the stake holders was the responsibility of the corporate sector in view of discharging their corporate social responsibility. Vetaran journalist Prof. Vepa Rao expressed concern over the degradation of journalistic values and ethics and hoped that with a view to win back credibility the media was likely to revert back to the old system of journalistic ethics and morals. B.D. Sharma, Chairman of Shimla Chapter of PRSI welcomed the dignitaries and thanked sponsors for their overwhelming response. Dr. Tulsi Raman, presented vote of thanks. Shobha Dhanwatrey, Director, Women Skill Development Academy, Nagpur, Anuj Dayal, Exeutive Director, Delhi Metro Corporation, Dr. M.Ravindernath of Central University, Vijay Verman, Additional General Manager, SJVNL Limited, Amitabh Shukla, Editor, The Pioneer and Dinesh Kumar, Associate Editor of The Tribune and delegates from top corporate houses like Power Grind Corporation of India, IFFCO, various universities and companies were also present on the occasion.